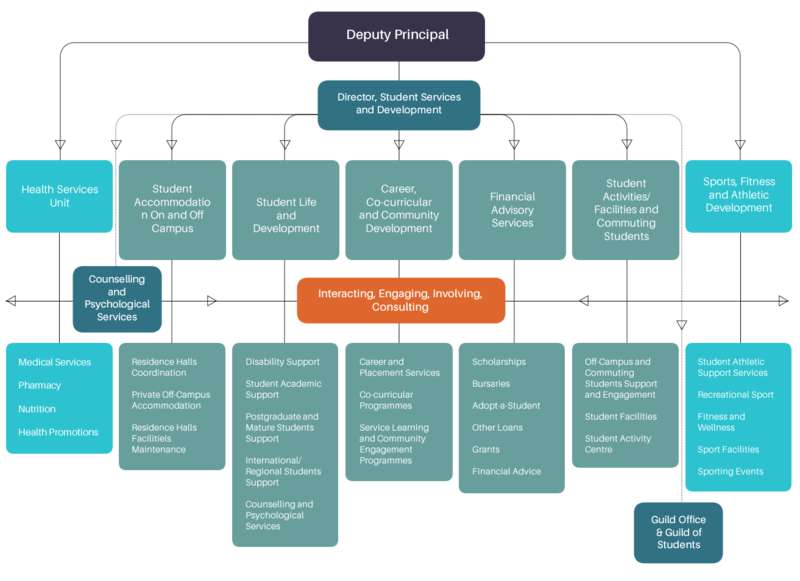 The Deputy Campus Principal directly supervises staff in charge of a number of student services, and staff within his own office. 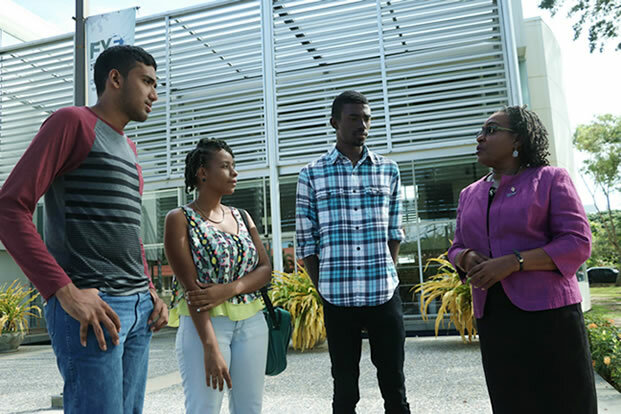 Professor Rhoda Reddock, former Deputy Principal, in discussion with students. 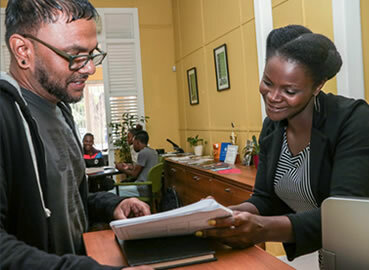 The Deputy Principal's Office serves as the office of last resort for student complaints. It is where students go when they need assistance with matters which they cannot solve through regular channels. The Deputy Campus Principal reports directly to the Campus Principal, and indirectly to the University’s Vice Chancellor. The Office also liaises internally and externally with a number of stakeholders. Internal stakeholders include, academic, senior professional and Administrative, Technical and Support Staff (ATSS), members of the Academic Quality Assurance Committee (AQAC), The Guild of Students, the Pro-Vice Chancellor, members of executive management, the Office of the Board of Undergraduate Studies (OBUS), the Human Resources Division, The Bursary, and all deans and heads of departments. External stakeholders include parents and guardians of students who attend the University, Government officials, private sector organizations, non-governmental organizations, professional organizations, service providers, local, regional and international donor agencies, and other higher education and research institutions.